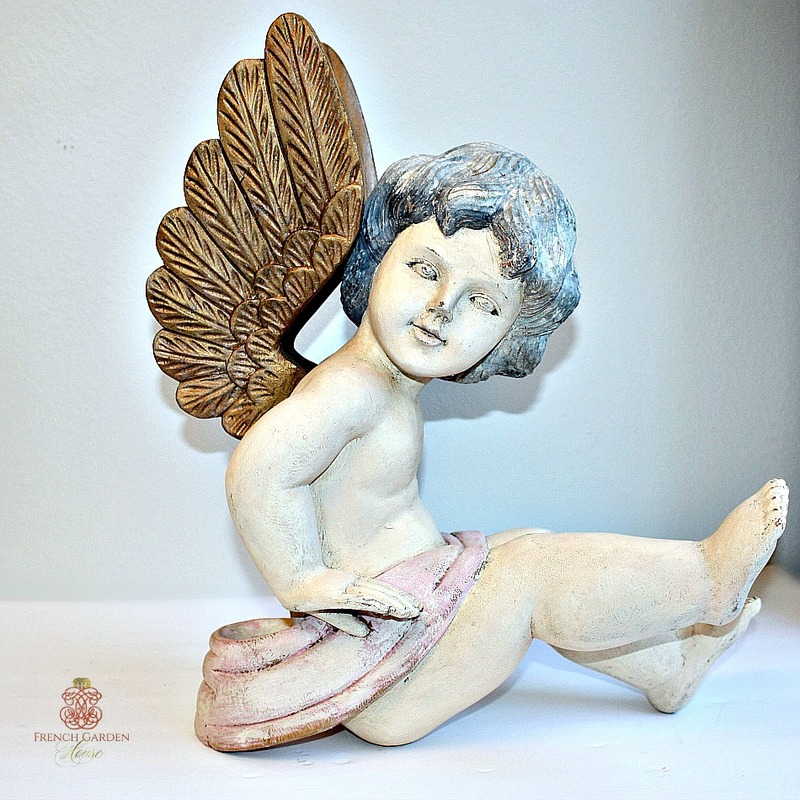 Large, shabby sweet Hand Carved Wooden Cherub, or Angel, this was a display piece in a local store. 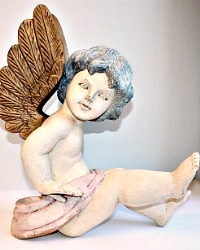 I am not sure how old this is, I have seen these elsewhere incorrectly called antique and/or French, but they are neither. 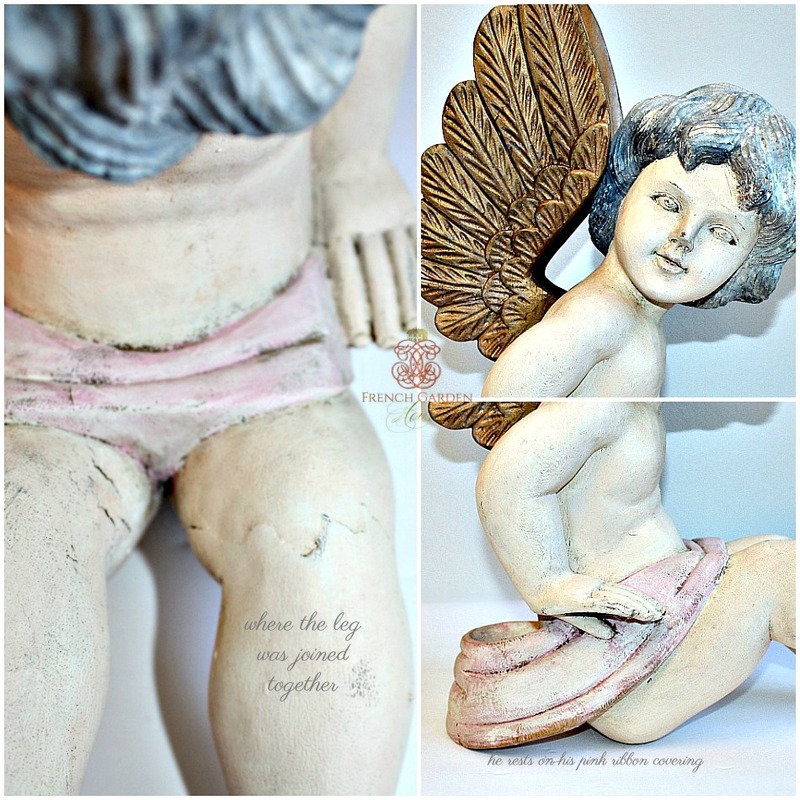 A decorative charmer, hand painted in the softest pinks, with a pale pink ribbon covering, soft black hair, and gilded wings. 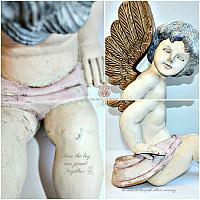 His wings are detachable for ease, once you get him to your home I would recommend glueing them in. 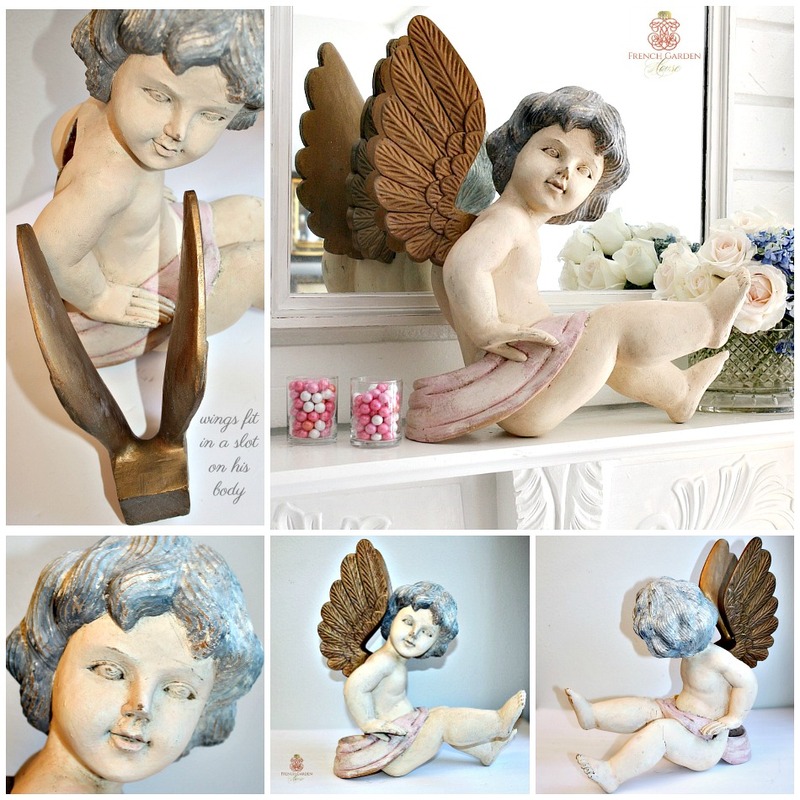 A wonderful display piece, romantic and whimsical. Display with your antique and vintage santos and other statues, or all by himself. Last photo shows how he looks wearing a crown and necklace, these are not included. Measures 15-1/2" x 14-1/2" x 7-1/2".